Wood. Naturally Better.™ is an industry initiative designed to promote the many benefits of wood. The campaign has consisted of television (in conjunction with Planet Ark), catch up TV, on line videos, print and online advertising and promotional activities supported by a website. The Wood. Naturally Better.™ campaign has achieved levels of advertising awareness that exceed benchmarks set by similar campaigns. Free Wood. Naturally Better.™ program partner membership is available to industry members wishing to participate. Details are available here. As a material, wood occupies a unique place in Australian lives and markets. It is familiar to every person of every age and is ubiquitous, providing form, function, fuel and more. Wood is so prevalent that, paradoxically, it is often unnoticed. The Australian forest and wood products industry is historically segmented and diverse. From forest growers and saw millers to importers, merchants and manufacturers, the industry is a major employer with approximately 70,500 people and an annual turnover of $20.1 billion (ABARES 2015, Australia’s forests at a glance 2015: with data to 2013–14). To broaden the reach of the Wood. Naturally Better.™ message, targeted sponsorships and promotions are used to involve and inform specific audiences. Wood. Naturally Better.™ is the major supporter of Planet Ark's Make it Wood campaign. Consumer research indicates that Planet Ark is one of Australia's better known and highly regarded environmental organisations with an aided awareness of more than 80%. A complementary activity to the media and promotional activities, the Wood. Naturally Better.™ Partner Program aims to involve and support the industry. In addition to the broad industry benefit of spreading the key messages about the advantages of using forest and wood products, Program Partners can strengthen their own marketing. As a Partner they are entitled to use the Wood. Naturally Better.™ brand on their communications and they can access a wide range of free and attractively priced promotional materials. More than 1200 companies and organisations have joined the Partner Program. Members range from TAFEs and government departments to major industry participants, small businesses and sole traders. 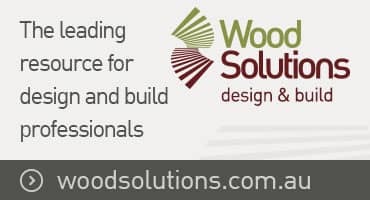 If you are in the forest and wood products industry and would like to know more about becoming a Program Partner, please click the link below.